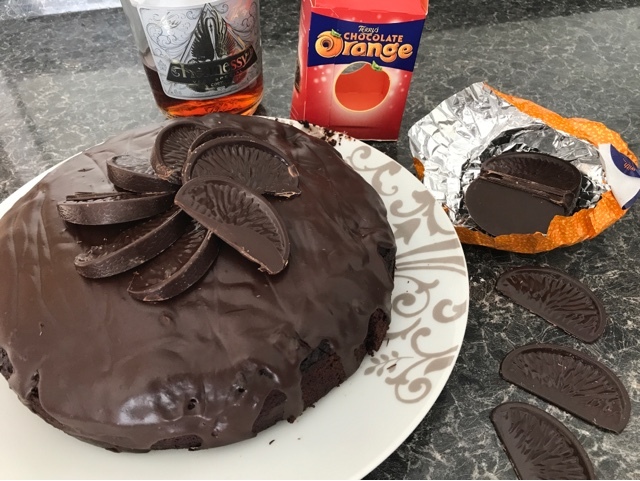 A while ago I shared with you a rather lovely recipe for a Gin flavoured cheesecake, well this month I've been getting my bake on and I have another scrumptious recipe to get your taste buds going, introducing my chocolate orange cognac cake. 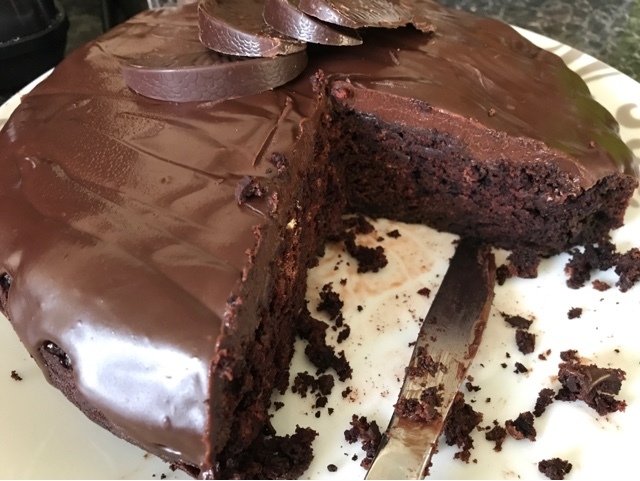 I think we've established previously that life can definitely be made better with cake and when you add in a splash (maybe more) of alcohol, them it can be the perfect solution to a day gone bad. In my latest recipe those lovely guys over at 31dover.com have kindly provided me with my star ingredient, a very nice bottle of Hennessy but I think any good brandy or cognac would do for this bake. * Preheat oven to 180º or gas mark 4. And grease your cake pan generously. * In a saucepan over low heat, whisk together the hot coffee, cognac, butter, and 1 cup cocoa powder until butter is melted. * Remove from heat, add sugar, and whisk until dissolved. Transfer to a large bowl to cool for roughly 5 minutes. * In a separate bowl, mix together the flour, baking soda, and salt. * Pop the beaten eggs, vanilla and orange extracts into the chocolate mixture and keep whisking until well combined. 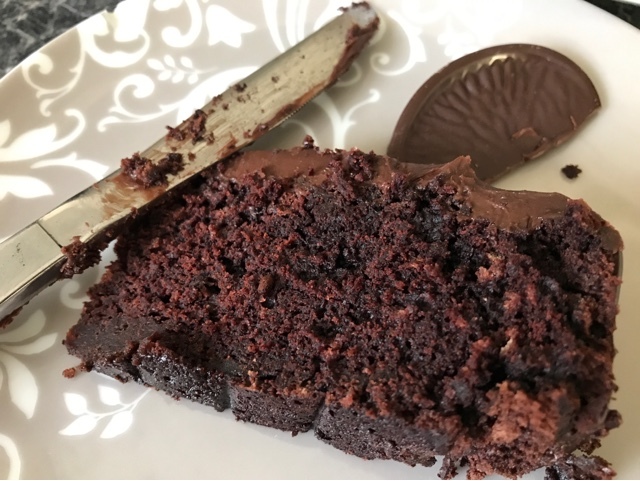 * Slowly fold in the flour mixture into the chocolate mixture until just combined. * Pour batter into your pan and bake for around45-50 minutes. You can test with a toothpick or skewer inserted in centre, it should come out clean when ready. * Cool cake completely in the pan and then turn out and pop on a rack. To decorate I covered mine in a sort of chocolate ganache an a Terry's chocolate orange but you could just cover in a fine dusting of cocoa powder. 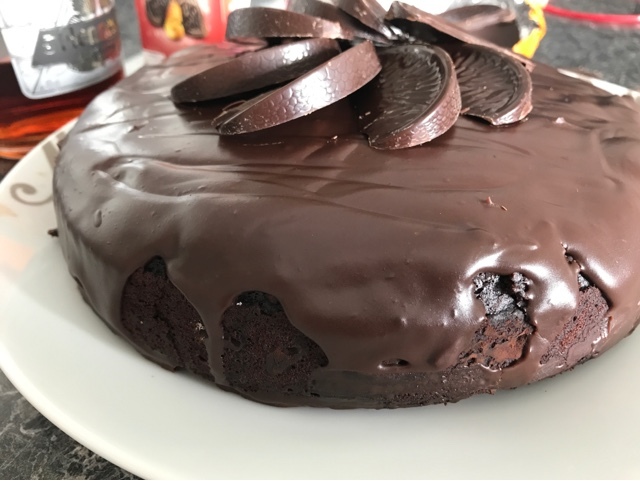 The longer you leave this cake after baking, the more the flavours seem to infuse and because the cake is baked, even the kids can have a bite, that's if you're willing to share of course!